♥ Lovely Ones ♥, today is the day! At 2pm Pacific Time (see the global time chart for your location, or check the countdown at the very top of the page) ... We're Sending Out a Major Love! 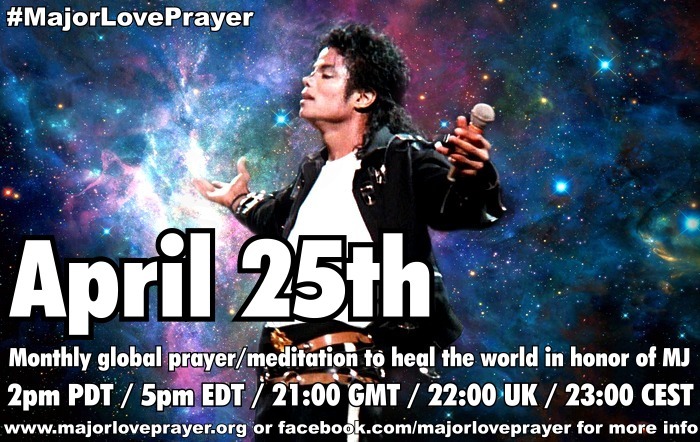 Today will begin this month's MAJOR LOVE PRAYER with the focus on peace and non-violent cooperation in the Middle East, as we fill our hearts with LOVE, connecting around the planet as ONE. Together we are healing the world with the collective focused consciousness of LOVE and PEACE! 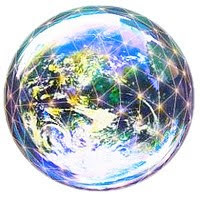 We will focus our group energy in the Mideast region for the first minutes and then expand and grow our energy like a grid of glowing LOVE across the world as we hold hands in spirit. Visualize and FEEL this love covering all spaces in between, from the deepest ocean to the tallest mountain peaks. 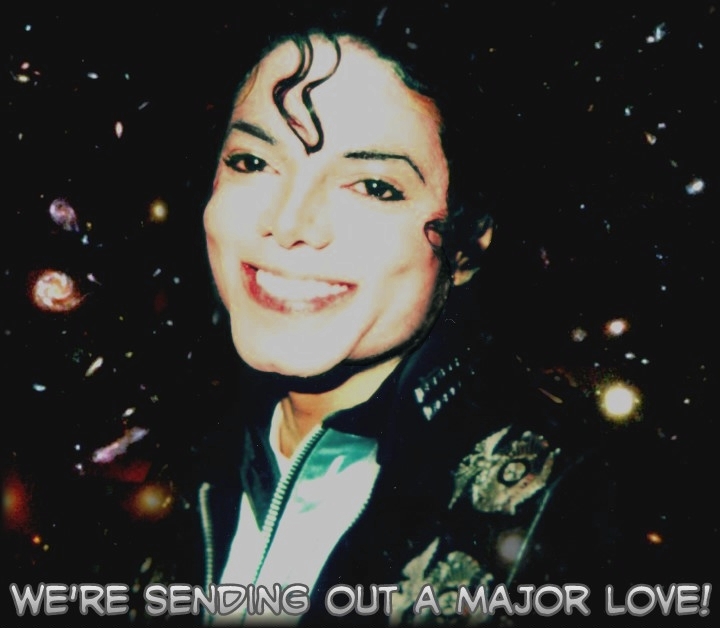 ♥ That is how WE'RE SENDING OUT A MAJOR LOVE ... in honor of Michael Jackson and the children of the world! I am currently in Solvang, California on the last leg of my Michaeling around the world holiday... it just occurred to me that I could time my visit to the gates of Neverland for the global MLP meditation this month. I can't think of a more special time/place for it. Sorry... accidentally duplicated my post. Have fun there, Kerry. Sounds like a great idea! At least the President and the Opposition Forces called a temporary ceasefire in Syria for the Festival of Eid. Perhaps it will continue. There may still be hope. @Michelle, Nina and Katherine - Bless you, lovelies! Yes, let us continue and pray the ceasefire continues and that peaceful resolutions can be found across the world. I wish I could’ve been at Neverland with you today… maybe tomorrow. But I feel blessed to be here on the forum praying with people all around the globe for peace in the Middle East and peace everywhere. Michael loved the children. If we love him and are carriers of the torch that he lit & handed off to us, of hope and peace and love on the planet, then together we must rally and pray for those same children and all children to be kept out of harm’s way. I know that Michael still watches over them and his love manifests itself through us who are the believers of his dreams to continue on his quest. 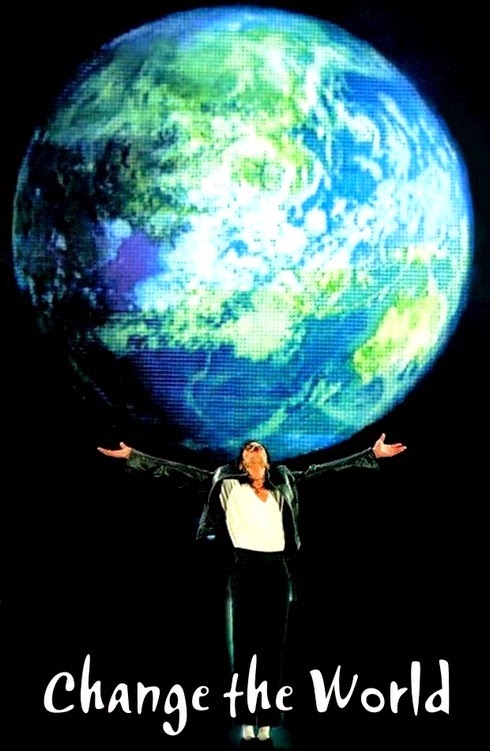 We do that in the same vein that Michael did; peacefully, holding steadfast, and believing in the good of man. We stand together and we kneel together in this prayer for peace and I know that Michael and our Father in heaven hears them. I believe in prayer & I know that if theres anything one thing we can do that doesn’t cost a thing to make a change, prayer is it. God Bless and keep the world. Michael, thank you for your love & light. Joined in with you while at Neverland, as hoped. Had the place to myself (apart from the tradesmen working on the other side of the gate!) Was able to say my prayers and do our MLP meditation in peace and quiet and the beautiful surroundings of the gardens by the gate. Am hoping that the temporary ceasefire in Syria may lead to a more permanent peace. “There is something about Michael Jackson that nobody can explain. Something that beyond the explanations. 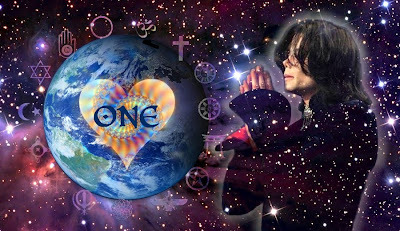 I PRAY THAT THE PRAYERS OF OUR HEARTS WILL TOUCH BILLION OF SOULS .THAT THEY MAY LEARN TO LOVE GOD AS MICHAEL LOVED GOD .. MICHAEL's LOVE FROM GOD GAVE THE WORLD A UNIFIED PEACE AND ONENESS TO FEEL WHOLE AND LOVED . WE PRAY AND LIVE AND CARRY THIS SAME LOVE DAY TO DAY AROUND THE WORLD . WE PRAY THE HOLY ANGELS KEEP MOTHER KATERINE ~PRINCE~PARIS~BLANKET ,ALL THE JACKSON'S AND ALL THE "MJ" ~ FAM AT ALL TIMES IN JESUS NAME ...WE PRAY FOR JUSTICE GOD FOR "MJ" IN JESUS HOLY NAME.